Activation Lock is a security feature on iOS7 and iOS8 which locks your Apple device to your iCloud account. We require you to remove your iCloud account from your device before sending it to us. Please click here for instruction on how to remove your device. • Must NOT be reported as barred / Blacklisted / Stolen. • The factory screen seal is originally present - NOT RESEALED. • The box may be sealed or unsealed, but the device - NEVER USED. • There are absolutely no marks or scratches on the phone. • All accessories are present and unopened. 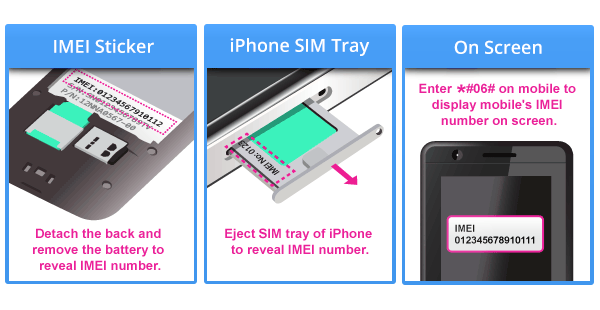 • The IMEI on the box matches that on the phone. • The original box is in good condition from original manufacturer, not generated or white box. • The phone should not be at any case a refurbished or a reconditioned one. In case of a device being reported as network blocked AFTER your device has been recycled and we have made payment to you, we will report it to the Police and start legal action. • The device must be UNUSED. • The device may be a factory second or manufacturer refurbished - replacement. • The original box and accessories can be missing. • Dents, chips, cracks or excessive wear and tear will lead to a reduction up to 90% of the original price offered. • It must switch on and off. • Be complete with all battery covers and bodywork. • The integral bodywork should have no cracks, dents, chips, missing plastics / metal and there should be no missing buttons. • The bodywork should not be hanging off the main body of the gadget in any way. • The LCD must be working and power up correctly and fully beyond the 'Welcome Note'. • The LCD must have no lines or missing pixels. • The screen must be intact with no cracks or chips. • There should be no liquid damage. • A white screen does not constitute a working device. • The touch screen must be fully functional. • All mechanisms must function correctly. • All standard functionality and software must be in working order. You'll usually find it printed on a sticker on the back of your mobile or on the SIM tray of most Apple iPhones. How Do I Ship My Item? Simply package up your item using your own packaging. Then attach our shipping label with clear tape. You can drop off your package at any Post Office. It is recommended to ship your device using Royal Mail Special Delivery. Your payment is issued as soon your item(s) are received and inspected, usually within 2 working days of our receipt of your item(s). What If My Apple Device is Activation Locked? SellPhones.co.uk is a trading name of GSMNET Ltd - a registered company. Registered in England and Wales: No 8752212.